The most versatile headset ever! The innovative Plantronics DuoPro offers all day comfort and best-in-class sound quality. 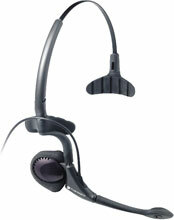 The H171N is the convertible model with noise-canceling microphone. New ergonomic innovations offer unsurpassed comfort, and the patent-pending anti-twist boom ensures perfect microphone placement. Two-year warranty. Value pack for use with DuoPro series H181, H171, H161, and H151 headsets, includes an earcushion, voice tube, clothing clip, background noise suppressor and three cleaning towelettes. The Plantronics 61121-01 is also known as PLN-H171	or 6112101	.